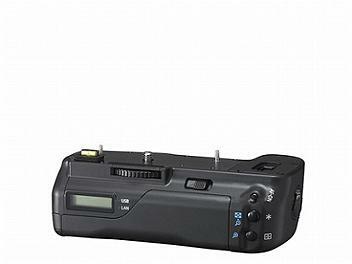 The Canon WFT-E3A Wireless File Transmitter is a more than valuable accessory for your EOS 40D,50D. Designed not only for people who are spur-of-the-moment, "on-the-go" shooters such as news or sports photographers, this unit allows wireless transfer of files for anyone who wants to rapidly "dump" their images for safe keeping. Type: Image transfer accessory compatible with IEEE 802.11b/g wireless LAN and Ethernet (wired LAN) (IPsec support). Can be connected via USB to external media and GPS devices. Vertical shooting controls included. Canon WFT-E3A Wireless File Transmitter for the Canon EOS 40D, 50D Digital SLR Cameras.